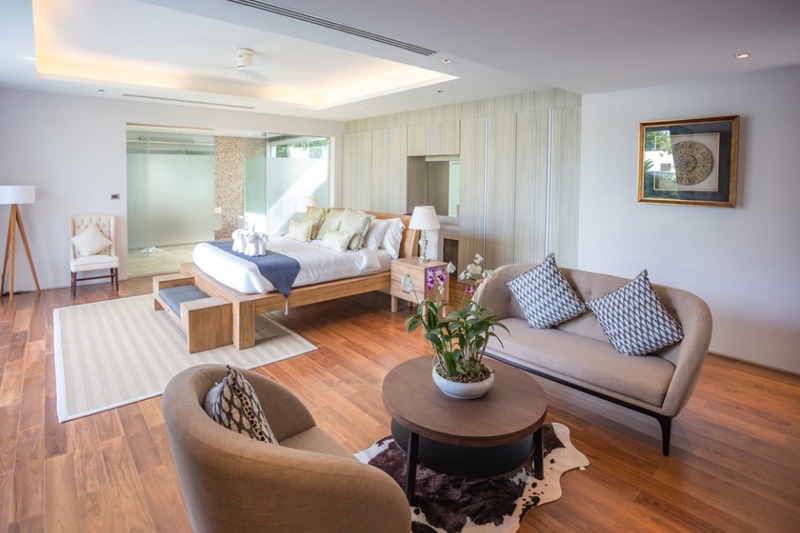 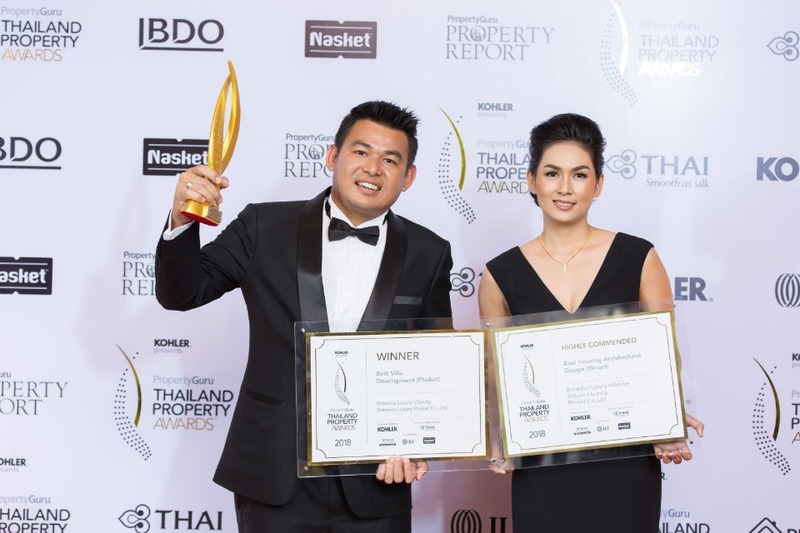 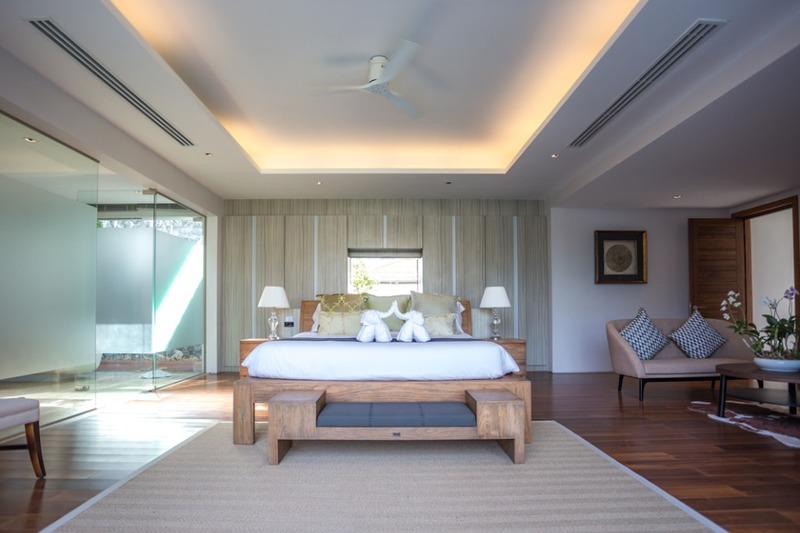 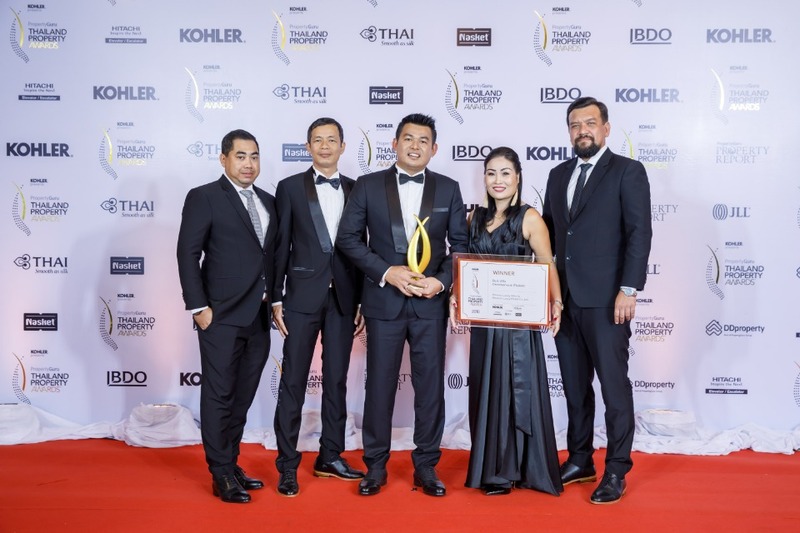 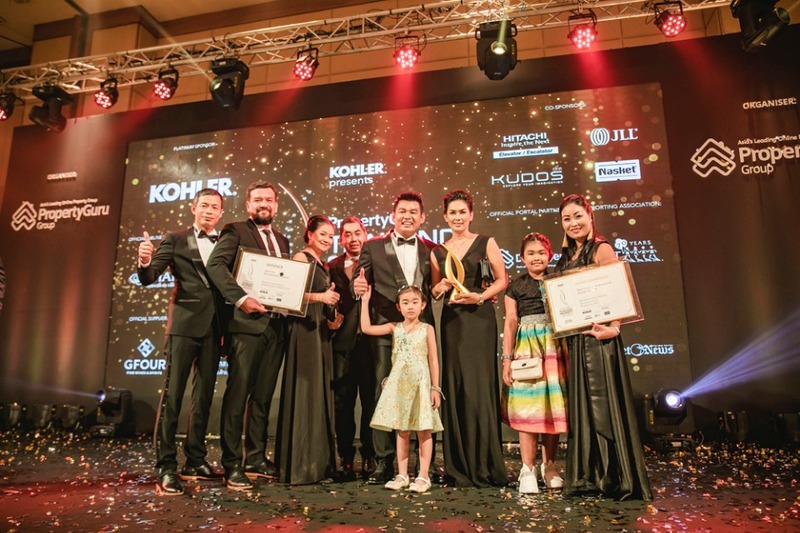 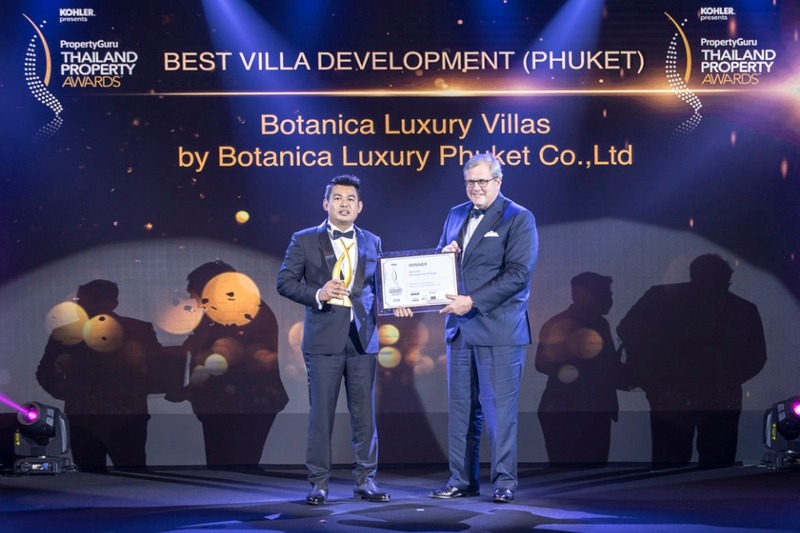 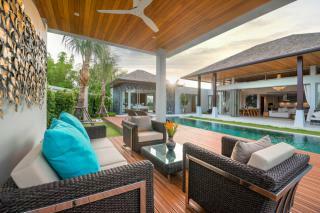 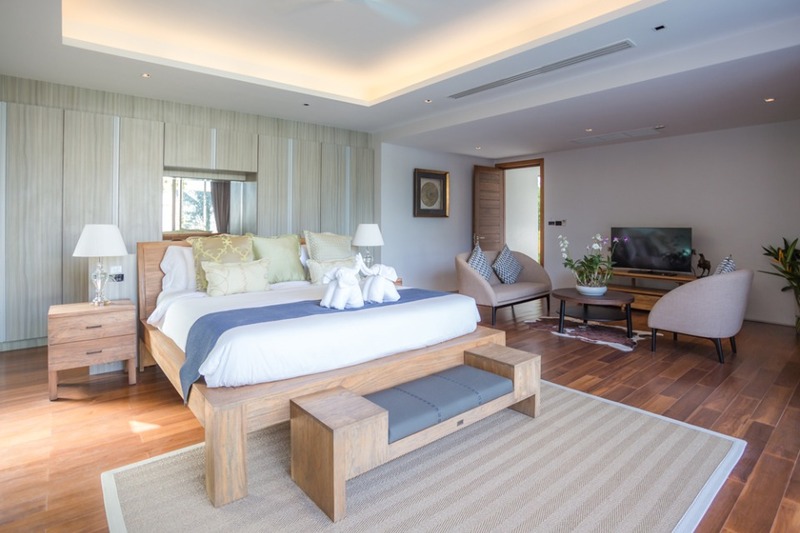 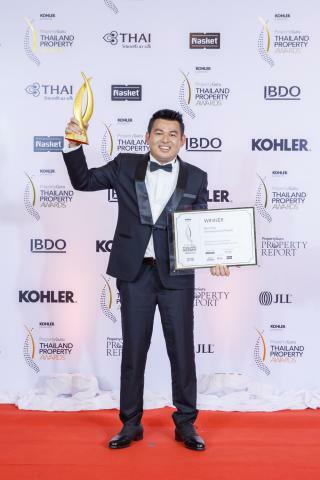 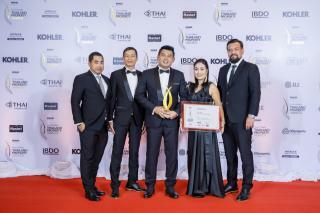 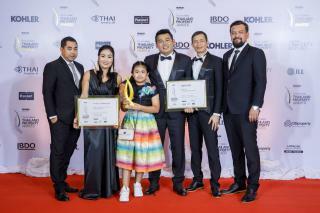 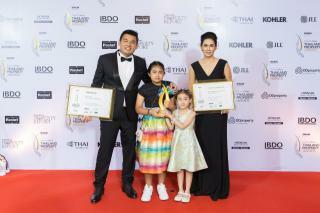 Winner of Best Luxury Villa Development Phuket at The Dot Property Thailand Awards 2017, the Botanica Luxury Villas property development boasts 21 custom-built elite residences of large open plans, bespoke design and sophistication. 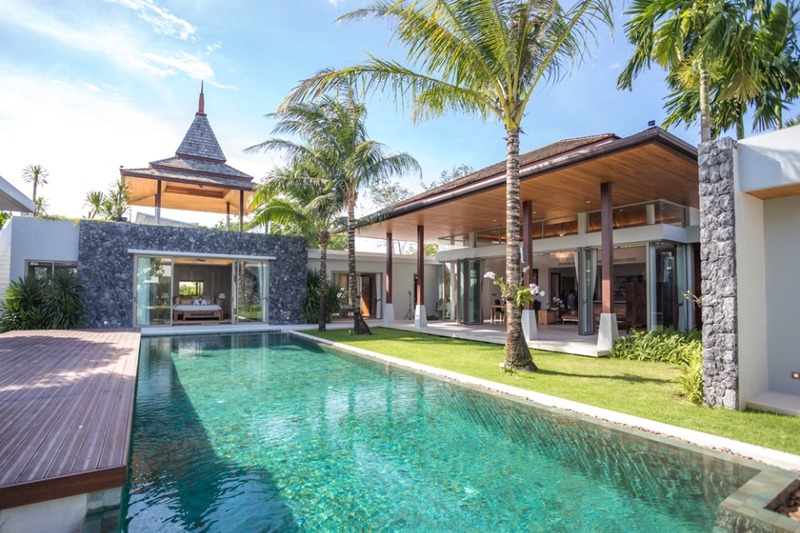 As exterior design characteristics in the villas don’t change, buyers are free to fulfill a wish list, with the architects and developers assisting to personalise the future owner’s dream home. Located in a desirable spot in the Bangtao/Laguna area, there is a an eight-kilometre stretch of white sandy beach close by, along with boutique shops and restaurants and an abundance of activities for the family to enjoy. 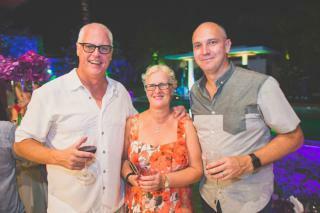 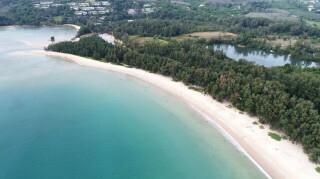 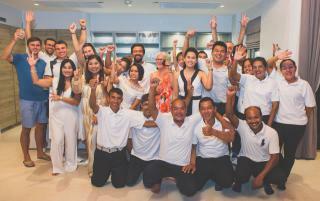 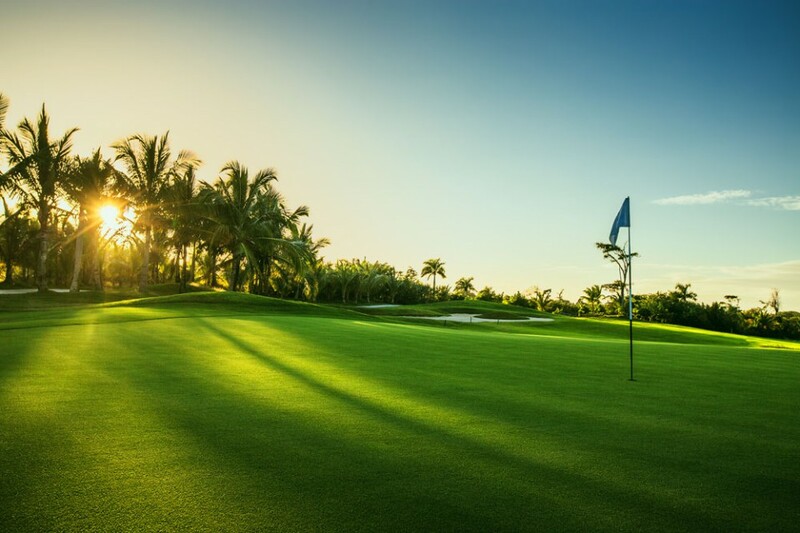 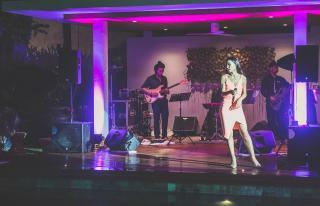 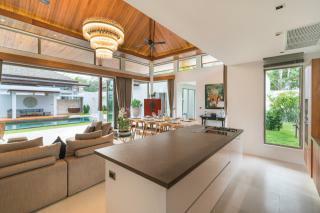 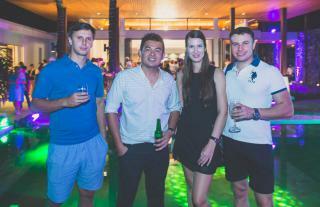 Laguna Phuket Golf course and the shopping centre, Canal Village, are just minutes away. 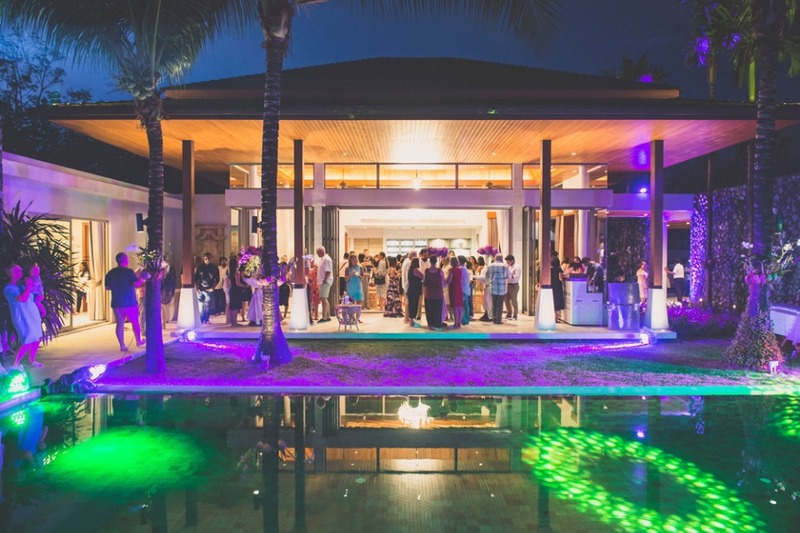 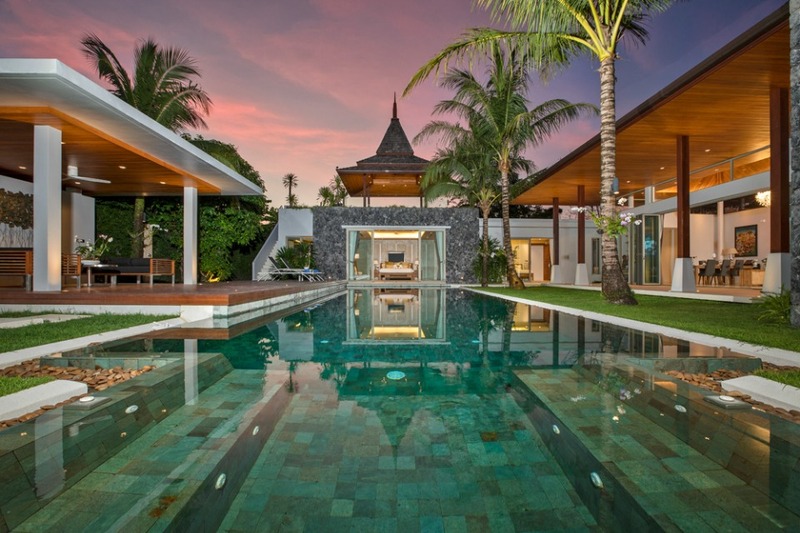 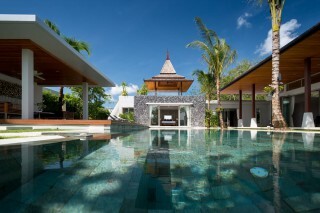 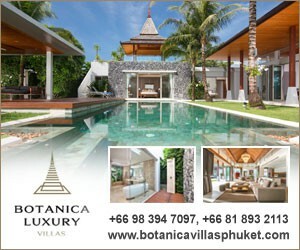 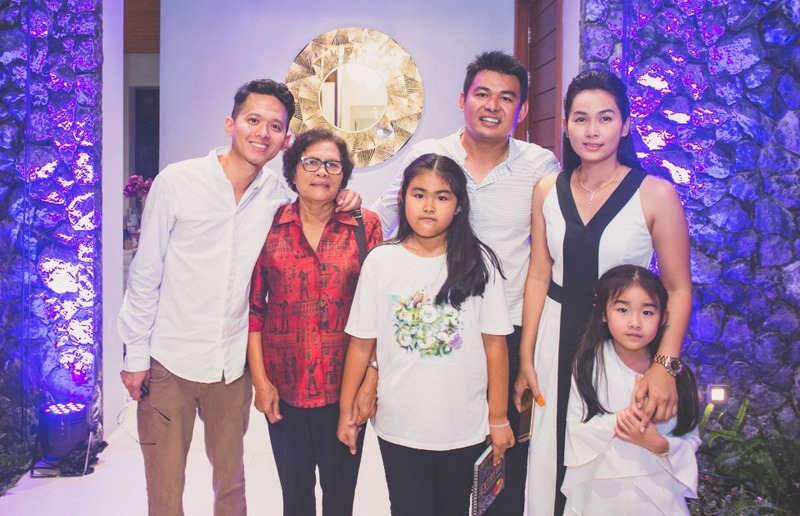 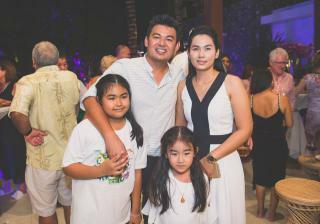 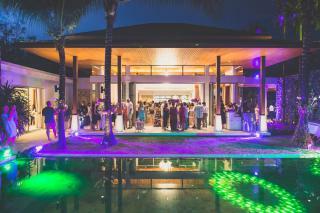 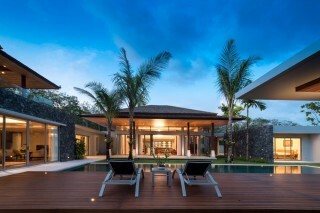 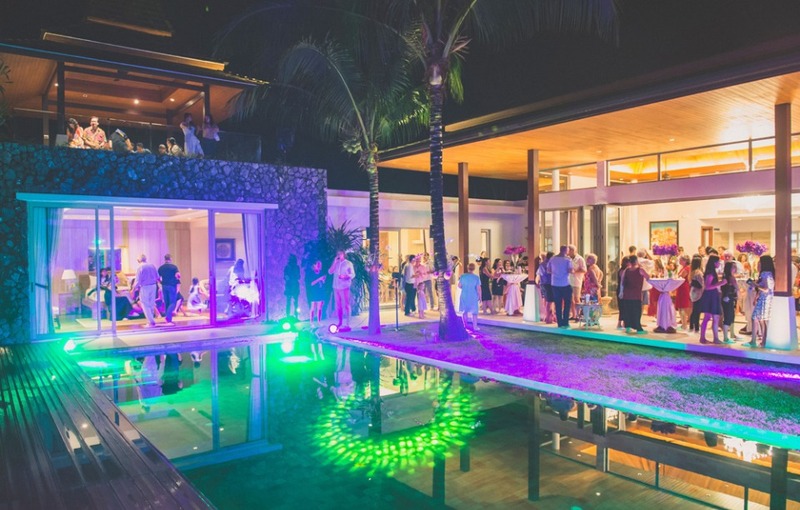 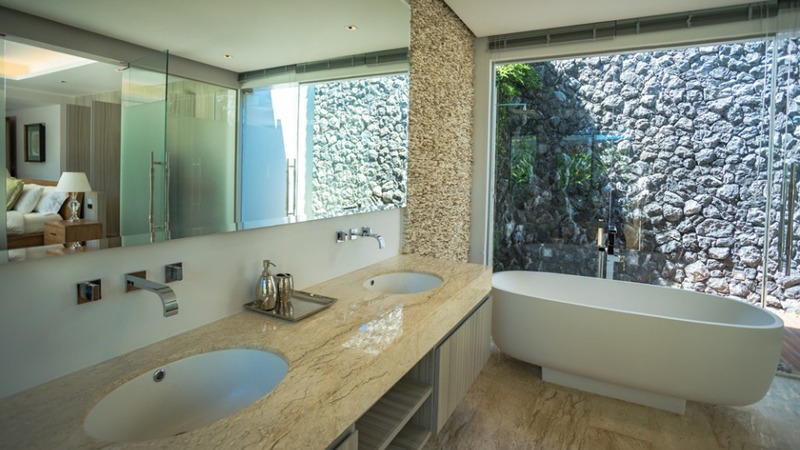 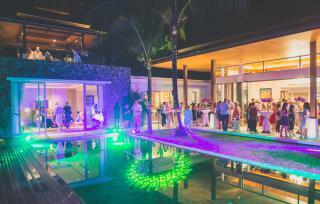 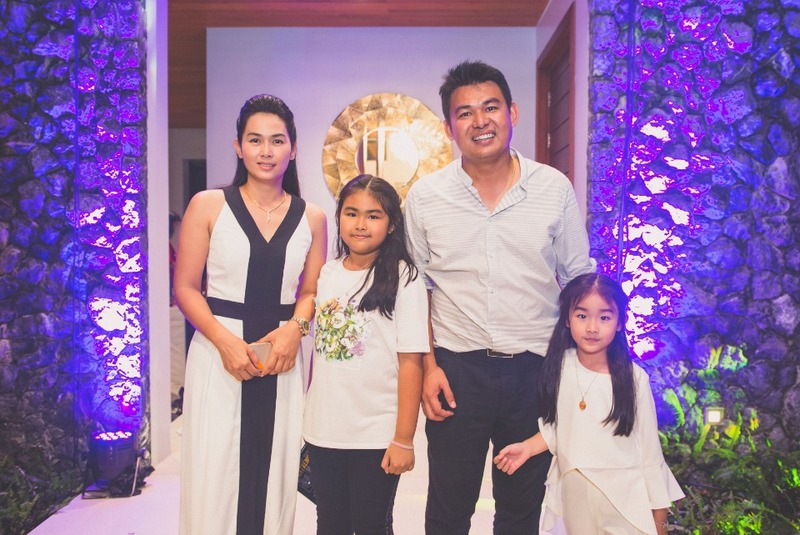 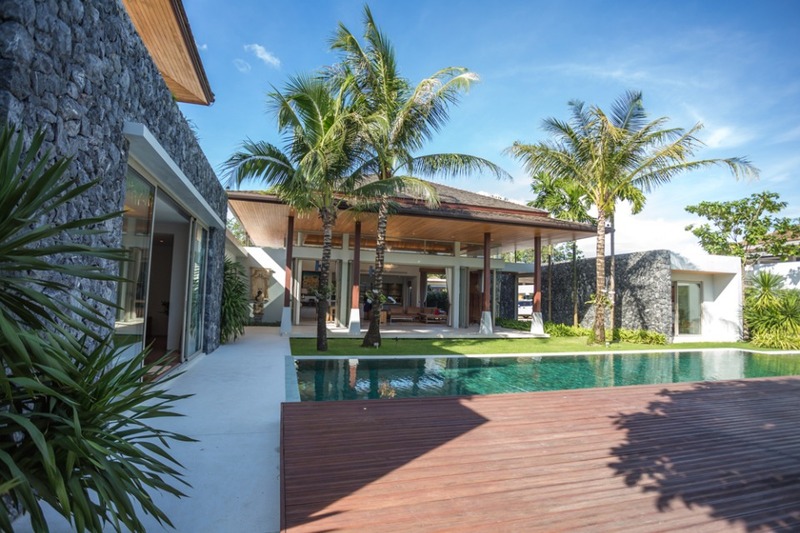 Botanica Luxury Villas is the brain child of Khun Attasit Incharooti of AAP Architecture Properties & Development, who paired his artistic vision with functionality of indoor and outdoor living space in a tropical climate to produce a unique design. One ingenious solution to create more covered space outside was to create a covered terrace that can be used as a lounge or dining area with wooden columns. 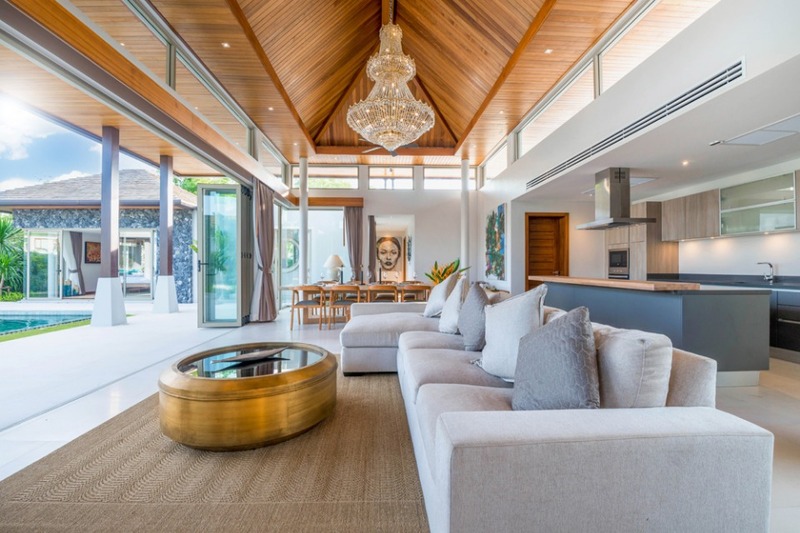 This signature feature interconnects all spaces in an agreeable and appealing manner. 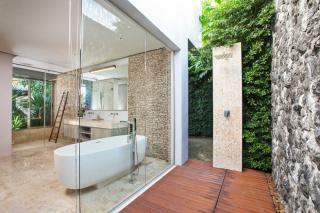 In addition, the tiling in the front room and the terrace match, thus making for a seamless connection between the indoor and outdoor. 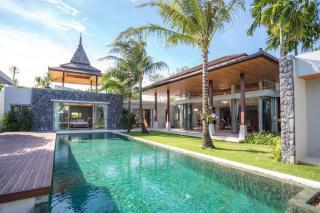 A natural stone-tiled, infinity-edge swimming pool forms the centre of each villa. 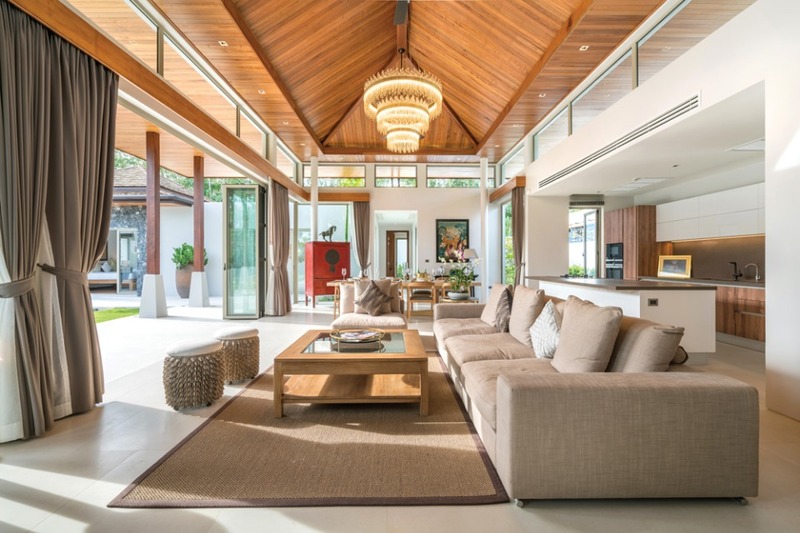 Villas feature free-flowing floor plans with folding doors, transom windows above the doors and vaulted ceilings; all residences enjoy these exterior characteristics. A buyer can choose from three standard designs and the home is then custom built, ensuring future owners get a villa that suits their style. The architectural team is available to modify and enhance designs over the course of the year that it takes to build the residence. 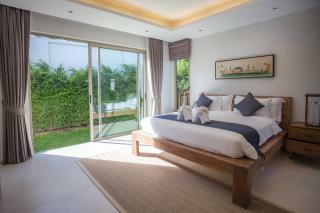 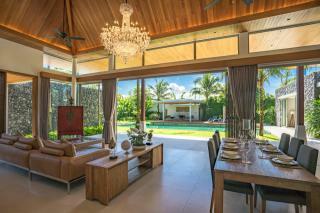 Villas are of three to five bedrooms with usable areas from 265 to 700 square metres of space. 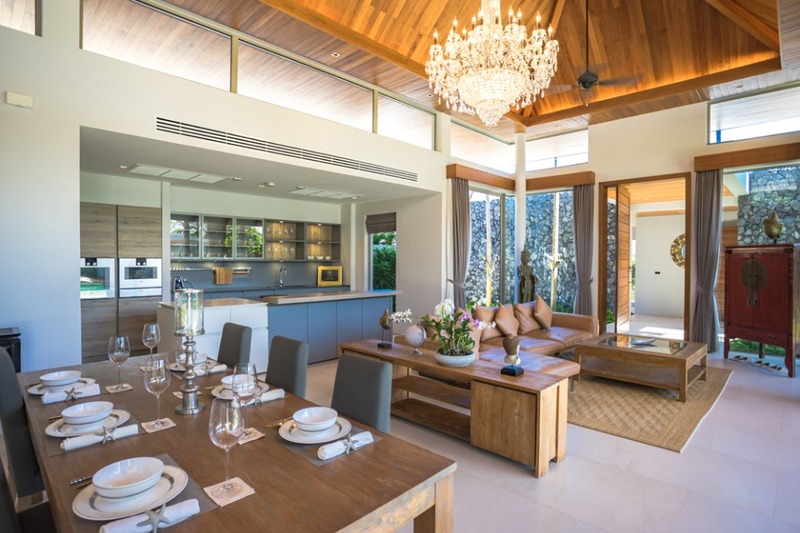 These elite homes will see natural wood blended with natural stone, imported kitchen cabinetry and high specification smart home technology. 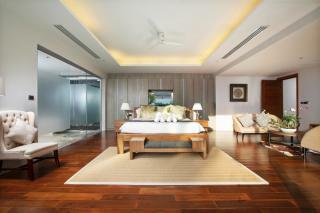 The project has a staffed reception and lobby service, along with 24-hour security. 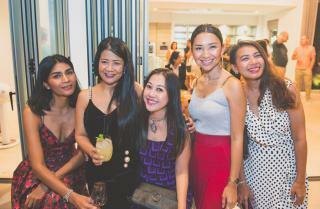 Residents may also wish to take advantage of the boutique coffee and café. 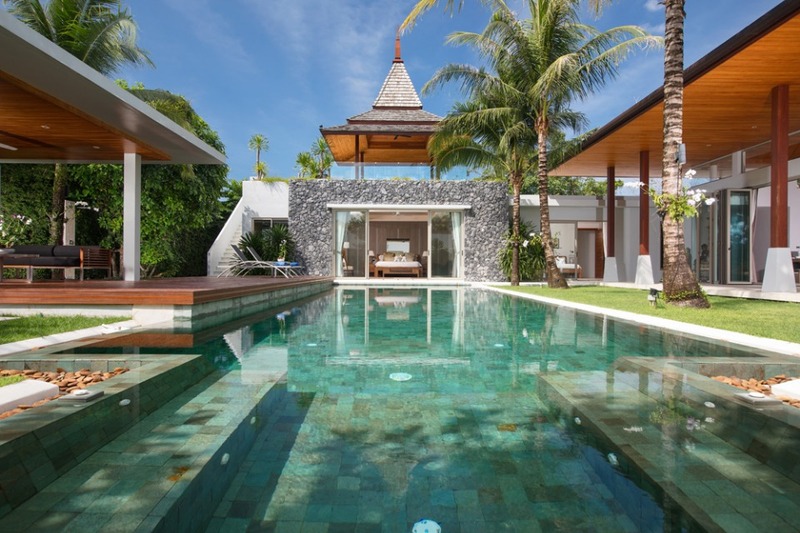 The villas are an ideal investment for people wishing to use them as short term rental accommodation for part of the year and use the remaining duration for personal use or family vacations. 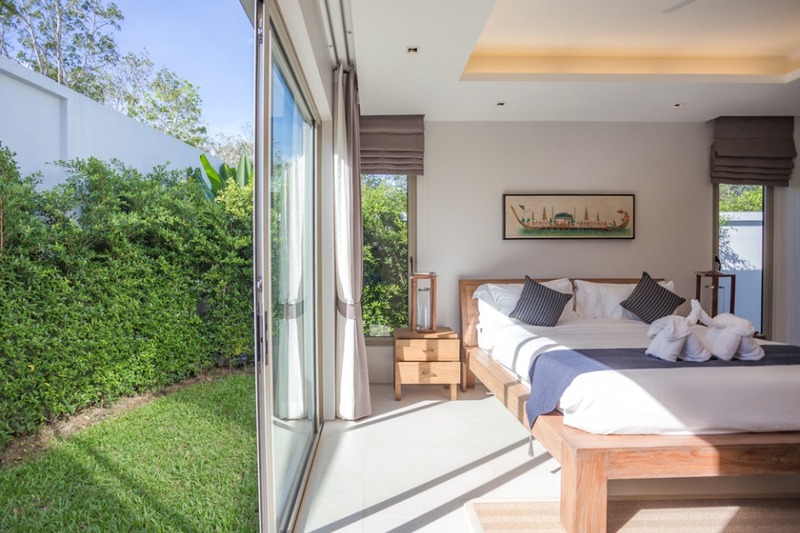 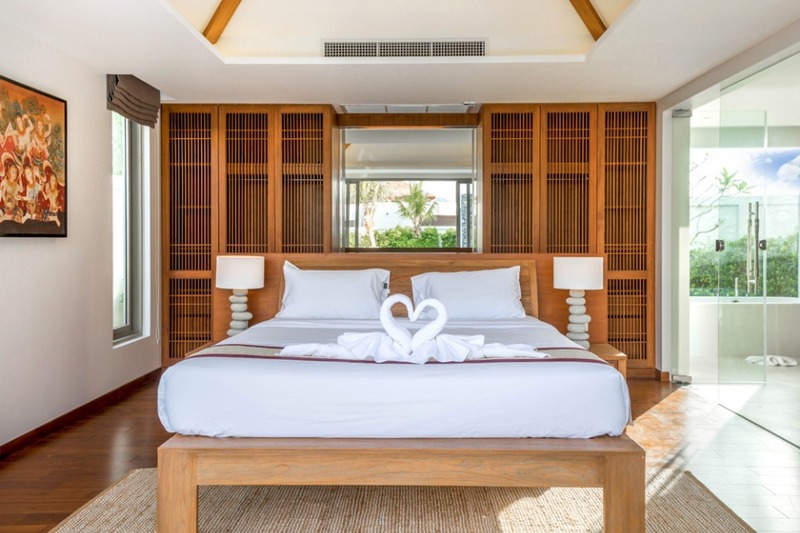 Houses of 700 square metres can host four couples plus visitors, while smaller houses of three bedrooms can accommodate three couples or more, making a comfortable and homey place for holidaymakers. While responsibility for all aspects of holiday rental management will be achieved by an established tour operator based at the reception office. 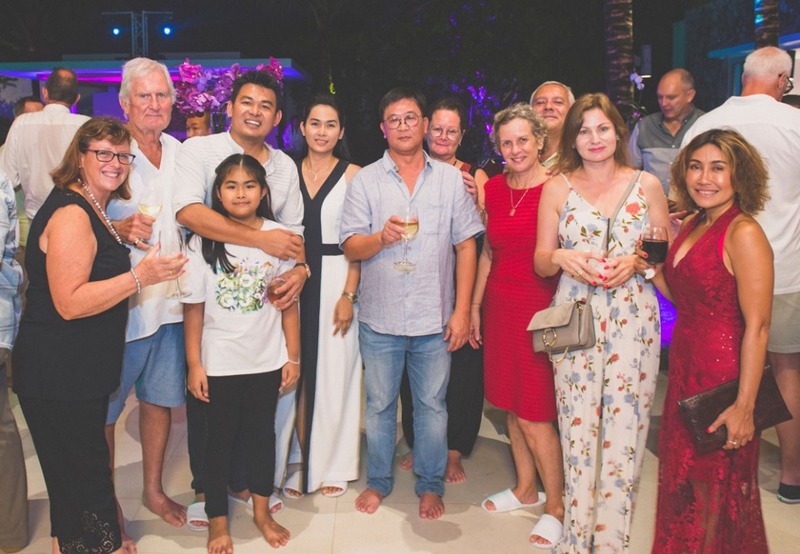 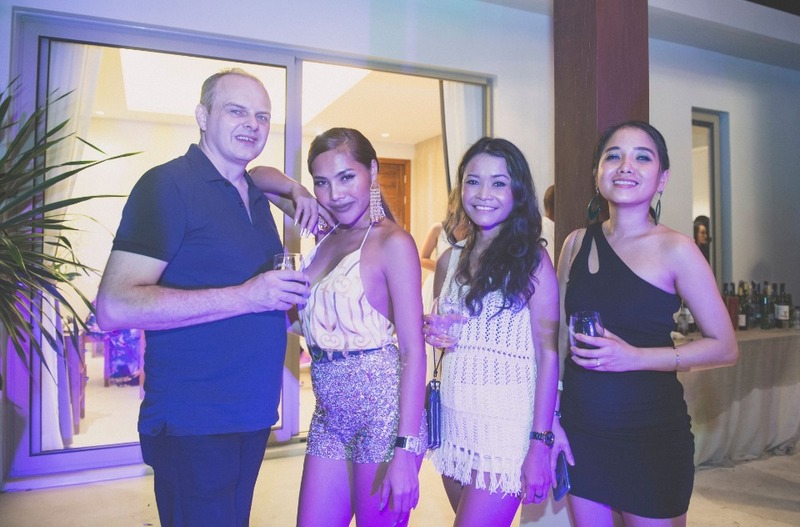 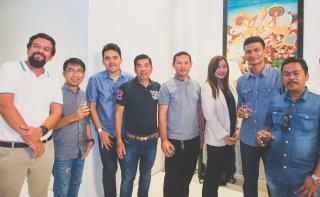 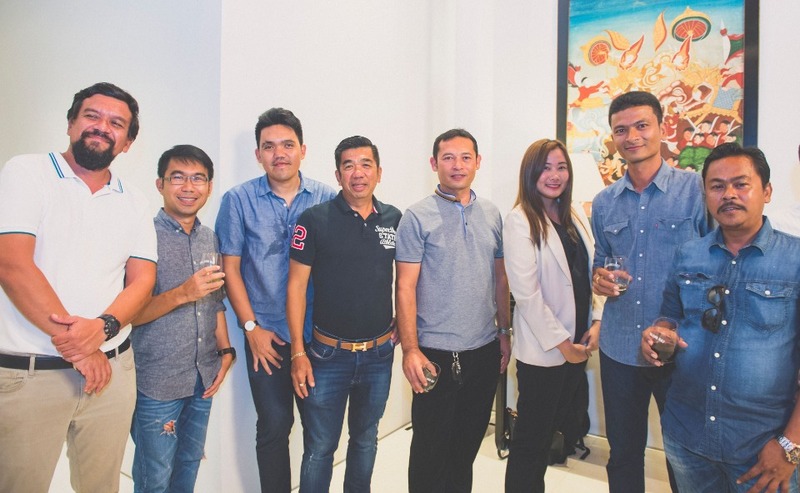 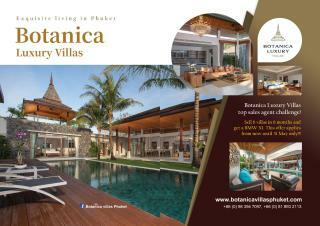 People interested in purchasing a residence at Botanica Luxury Villas are encouraged by the developer to take a visual tour, see the show villa and discuss their aspirations and dream list. 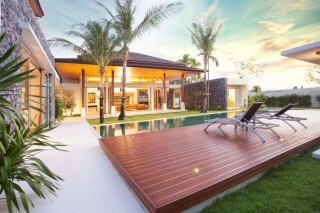 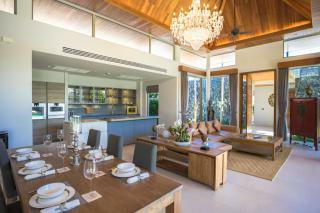 Villas are available under a freehold or leashold title. Launched in January 2018, the 21 units will be completed by January 2020.